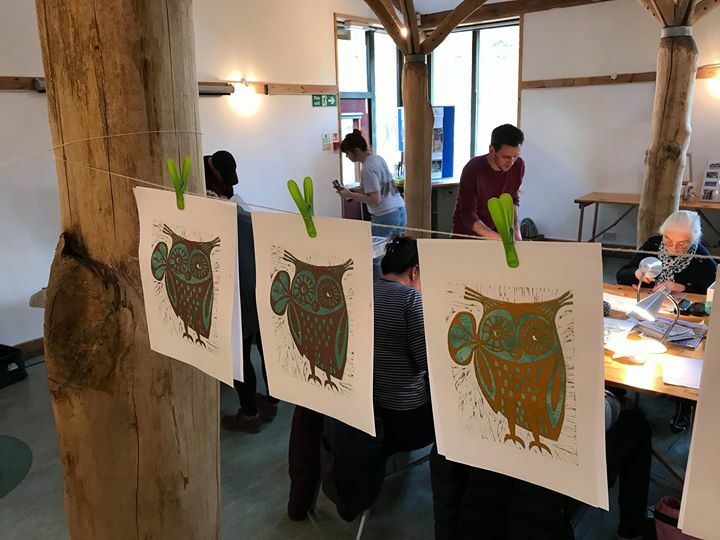 In the stunning woodland location of the Green Wood Centre, Coalbrookdale you will learn how to create a series of lino prints using the reduction method. This is a fun sociable day as part of a small group. All materials and lunch, provided by the Green Wood Centre cafe, are included in the price of £65 per person. Message me here or hillierdesign@gmail.com to book. Visitors to the Green Wood Centre are welcome to come in and view the workshop in progress and browse a selection of illustrated gifts in a Pop-Up shop by Amanda Hillier.